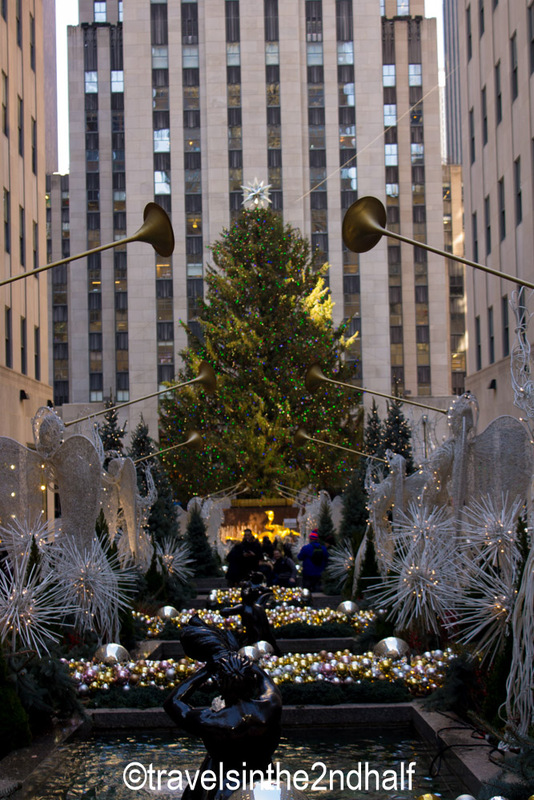 Some people feel that Christmas in New York City begins with the Thanksgiving Day Parade. 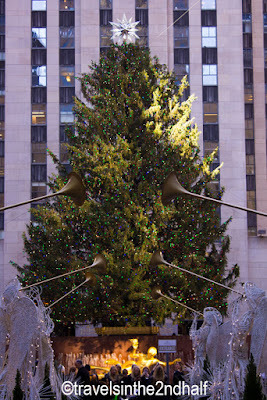 To me, the real start of the Christmas season is the lighting of the Rockefeller Center Christmas Tree. Everything else just marks the end of fall. 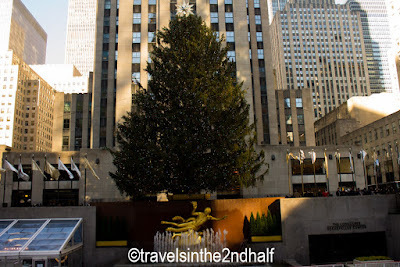 Rockefeller Center is the Art Deco office complex that takes up four square blocks in the center of Manhattan. It was built in the 1930’s and spans the area from 48th street to 51st street between 5th and 6th Avenues. 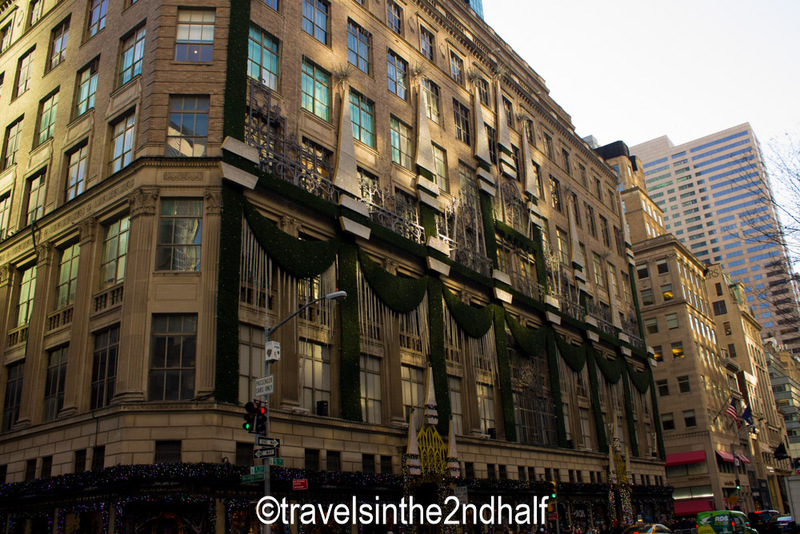 They were built in the early 1930’s and are some of the most stately and gorgeous buildings in the New York. No expense was spared. There are fourteen buildings, each with a different theme and set of decorations. 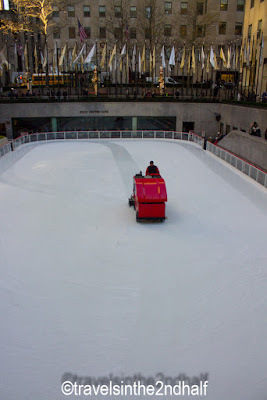 At the center are 30 Rockefeller Center, home to NBC broadcasting, and the skating rink, built below ground level, complete with a golden statue of Prometheus rising. In 1931, workers helping to build Rockefeller Center put up a Christmas tress on December 24th. 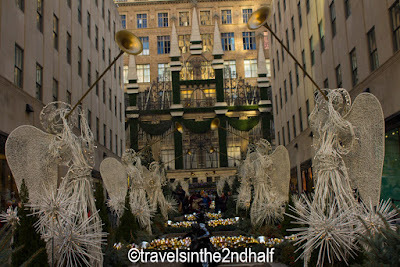 They decorated it, along with children who lived nearby, with tinsel and tin cans. 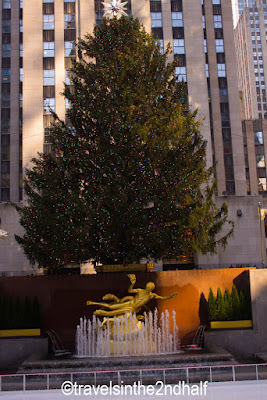 In 1933, the management of the center took over the tree raising responsibilities, and when the skating rink opened in 1936, the area became the center of Christmas in New York. And the rest is history. This year’s tree is a 75-foot Norway Spruce that towers over the rink. 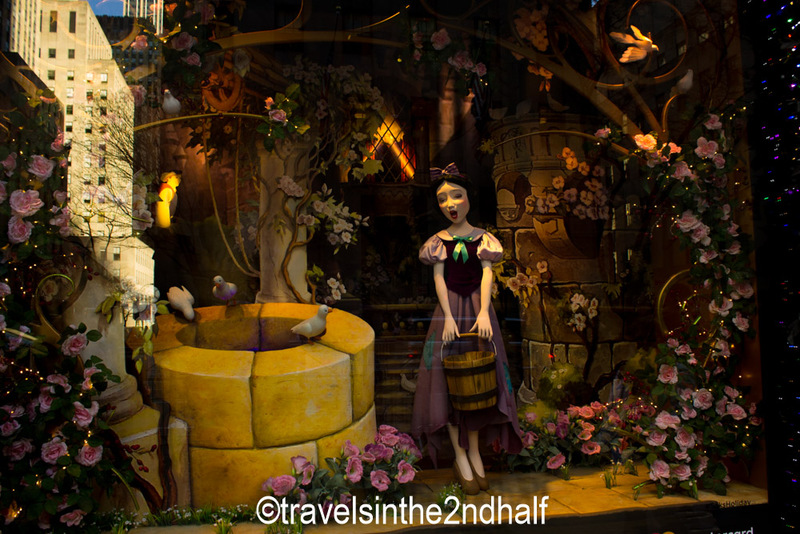 Six toy soldiers guard the area. 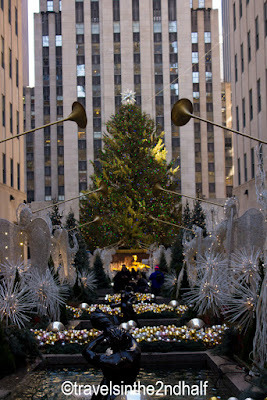 The Channel Garden, which connects the skating rink to 5th Ave. is lined with twelve heralding angels, designed by Valerie Clarebout in 1969. The skating rink is open to the public. Sessions are two hours long and cost $25-32/adult and $15 for children general admission, plus $12 for skate rental. 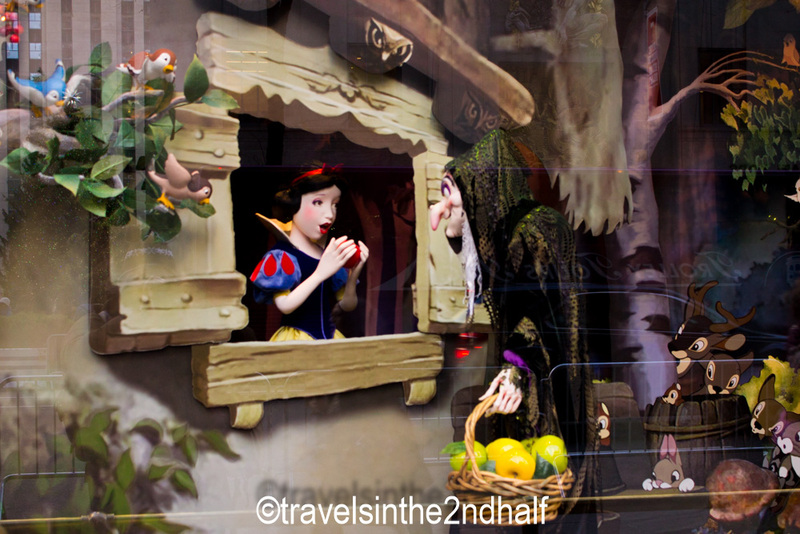 There are other packages available. 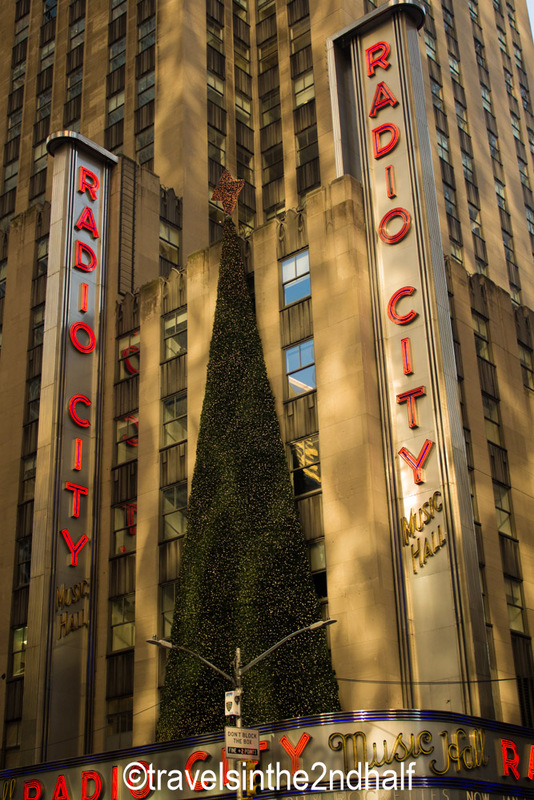 The Radio City Christmas spectacular is world famous. The Rockettes dance. Santa flies in. And there is a live nativity scene. There are several shows a day and tickets run from $50-150. Saks 5th Avenue has been putting together some of the best Christmas displays for decades. Located right across 5th Ave from the Channel Gardens, (between 49th and 50th street), this year they have teamed with Disney to present Disney’s Snow White. They also have a light show during the evenings. Bryant Park is located behind the main branch of the New York Public Library, between 42nd and 40th streets, and between 5th and 6th Ave. 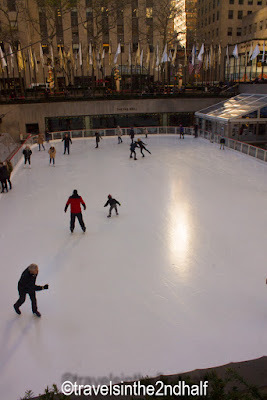 Here you will find another skating rink, larger than Rockefeller Center rink and FREE (although skate rentals here are $20). 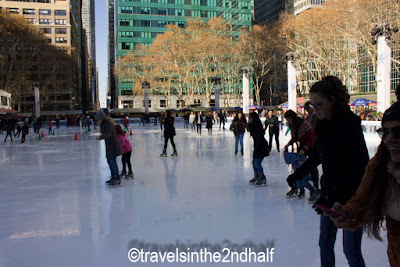 There are also two indoor restaurants over looking the rink and a Christmas Market for holiday shopping. 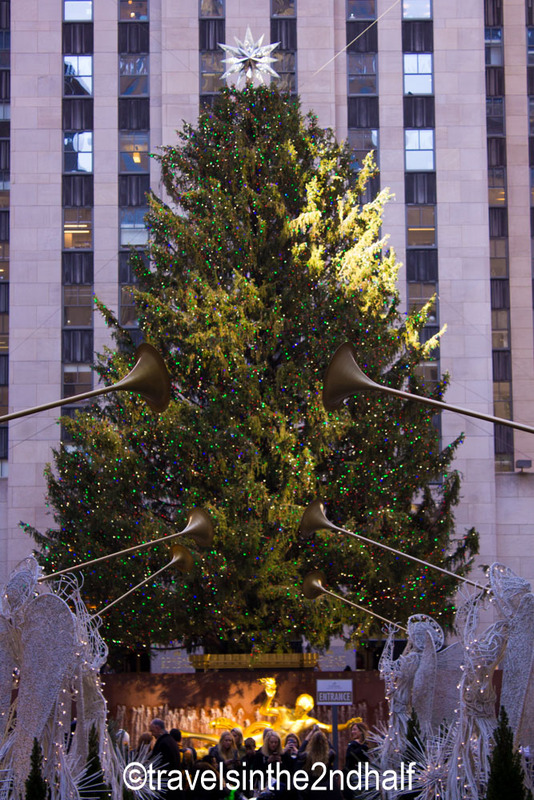 The Rockefeller Center Tree is located between 49th and 50th streets in Rockefeller Center. 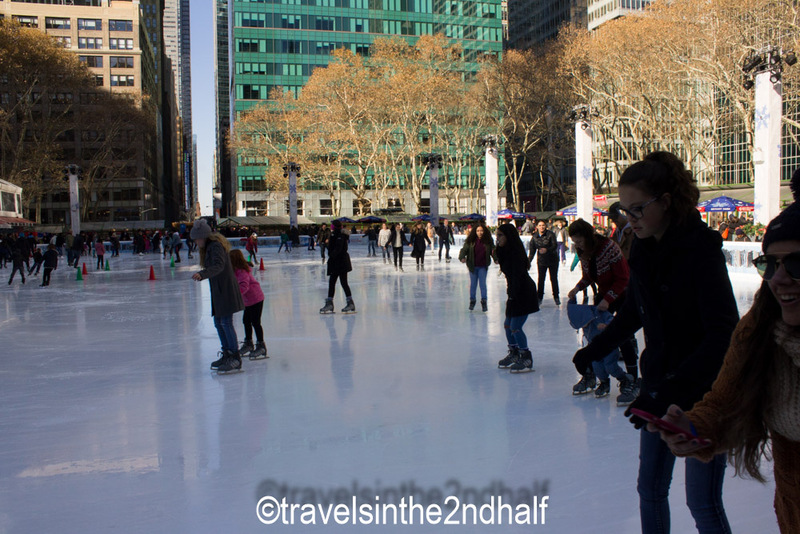 The closest subway is the B, D, F or M trains to the 47th-50th street station. 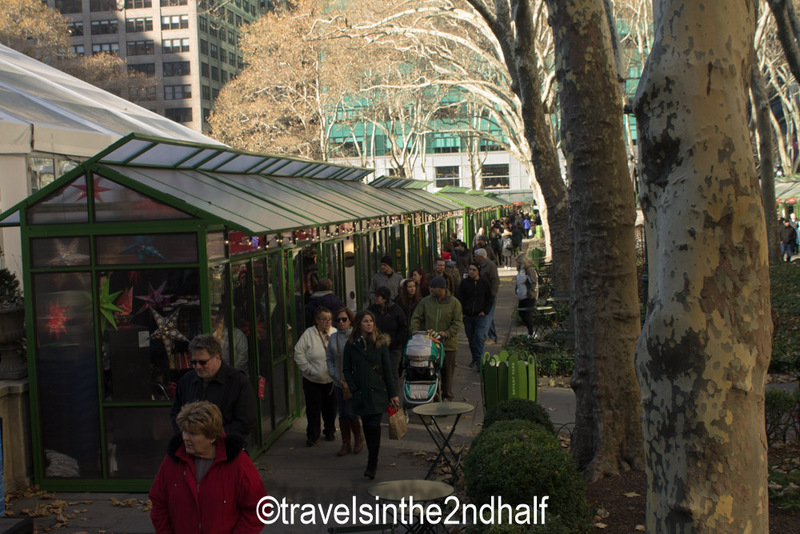 Bryant Park is at 42nd street and 6th Ave. The nearest subway is the B, D, F or M to 42nd Street or the 7 to 5th Ave.
Xmas in NYC, nothing like it. 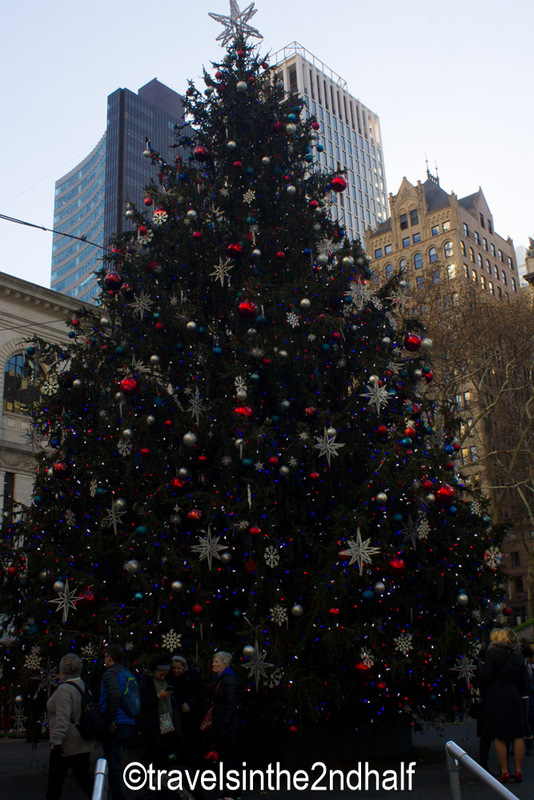 If this part of the city doesn't get you in the spirit of the season, nothing will.